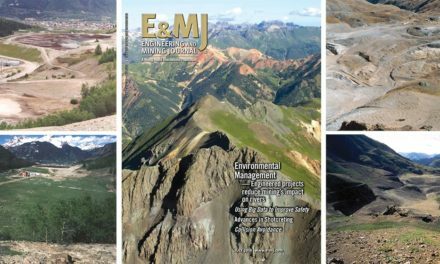 Every two years, Engineering & Mining Journal (E&MJ) and Coal Age combine efforts to produce Haulage & Loading, a technical conference that serves as an engineering forum for surface mining. This year’s event takes place May 16-18, 2011, at the Wigwam Resort in Phoenix, Arizona, USA. The conference consists of 22 presentations grouped into five sessions: Autonomous Mining, Operations & Maintenance, Safety & Compliance, Loading Techniques and Haulage Systems. In addition to the technical program, the conference also offers surface mining engineers and mine managers a change to network among peers as well as some of the engineers and technical managers from the leading OEMs serving the mining business. The needs among today’s mining professionals vary by region and commodity. A mine manager at a gold mining operation may be looking to scale up to capitalize on high prices, while a counterpart operating in a remote location may be looking for ways to train haul truck operators. Everyone involved in mining is concerned with operating as safely as possible. Haulage & Loading 2011 offers tips on how to meet all of these challenges and more. For those that haven’t attended Haulage & Loading, the Wigwam Resort offers an affordable family-friendly environment to enjoy the warmth of the Arizona desert. More than just a hotel, it is similar to a village with adobe bungalows. The resort offers tennis as well as several golf courses and pools. For spouses that tire of the Elizabeth Arden Red Door Spa, local tours are available. On Sunday morning, prior to the conference opening, Komatsu is sponsoring a golf tournament. Awards will be presented at an evening reception. The opening session for the conference kicks off with four presentations on autonomous mining. The first two presenters will offer updates on research into unmanned vehicles, while the other speakers will talk about the technology that’s being employed at the mine sites today. In, “Autonomous Vehicle Technology in Mining,” Chris Brown, business development manager, Autonomous Solutions, will offer an overview of the state-of-the art autonomous vehicle technology, both in terms of how the technology works and current efforts by various companies to field unmanned vehicles He will discuss the challenges that remain from both technology and operational perspectives. Topics will include: an overview of how unmanned vehicles work, from drive-by-wire technology, to GPS positioning and RF networks, and to obstacle detection and avoidance systems; a look at approaches that have been taken over the years and how advances in processing, positioning, communications and sensors have made things more feasible over time; and an overview of how unmanned vehicles can be applied in mining operations, from grand, fully integrated ‘unmanned mine-of-the-future’ visions to incremental adoption of collision-avoidance, tele-operated or ‘supervised autonomy’ technologies. Representing the National Robotics Engineering Center (NREC) at Carnegie Mellon University, Michael Wagner, NREC’s commercialization specialist, will present “Benefits of Autonomous Systems to Open-pit Mining.” For nearly 15 years, the NREC has fielded innovative autonomous systems for the mining industry. Experience has shown that autonomous systems provide three benefits to open-pit mining. The first benefit is safety; operators can supervise mining equipment from a safe shelter, away from hazardous areas. Simultaneously, however, operating costs are reduced when equipment is safeguarded. For example, haul truck collision-avoidance both protects the operator and cuts truck downtime. Finally, autonomy can enhance efficiency by coordinating interdependent processes throughout a mine. This presentation covers advances in the areas of perception in dusty environments, precision mapping and sophisticated operator aids. The practical application of autonomous haulage systems in open-pit mining is a reality. More than 70 million tons were hauled from open-pit mining operations using autonomous haulage during 2009. Compared to highly automated, mature industries such as manufacturing the application of autonomous technology to create business value is only in its infancy. The focus on the business case of eliminating the truck driver highlights a low level of maturity and knowledge. In “Autonomous Mine Haulage, the Intangible Business Case,” Peter Carter, president and CEO, Modular Mining Systems, will discuss how the real long term value of the autonomous haulage application revolves around paradigm shifts in the way mines are designed, planned and operated. The workplace by design will be safer with substantially reduced risk of haulage vehicles creating hazards as they interact with the auxiliary mining fleet. The useful lives of autonomous vehicles will be significantly extended by the reduced duty cycle, application of consistent forces to the major components allowing amortization of the capital cost over a long time period. The largest long-term value will be created by the systematic application of business rules that take advantage of the precision, reliability and replication attributes, institutionalizing and under-writing continuous improvement. Software applications are very obedient, come to work every day and have excellent memories, always follow the rules, making for the world’s best practice haulage. A common concern with open-pit shovel operations is the risk of collision with other equipment working in close proximity to the shovel. The frequent and swift swinging action of the shovel, in addition to the sheer size and vast blind spots of mining shovels, results in an extremely dangerous environment for any equipment working within the swing radius of the shovel. Nima Nabavi, project manager, Motion Metrics Int’l, will present “The Application of Intelligent Collision Avoidance for Mining Shovels.” The presentation will explain how an intelligent radar and camera based proximity detection system can improve safety and operator awareness of shovel based mining operations. The system involves installing a strategically-placed array of heavy-duty radar sensors and surveillance cameras around the body of the shovel to provide a comprehensive view of the shovel’s surroundings. The success of a number of different field installations on a variety of shovel models and mining environments have been analyzed. On Monday afternoon (May 16, 2011), five presenters will discuss different techniques to improve operations and maintenance activities. Roger Thompson, professor of mining engineering, Curtin University, Western Australian School of Mines, will lead off with, “Building Better Haul Roads: Designing for Structural Strength.” In 2009, his paper on haul road maintenance was well-received and he will update his work with this presentation. The structural design of a mine haul road involves the determination of cover thickness requirements above the in-situ or sub-grade material. Where this material is poor quality or weak, the correct specification of these layerworks is critical to the success of a haul road design. Poor design often leads to premature failure of the road, safety is often compromised and productivity and equipment service-life will certainly decrease. Historically, the California Bearing Ratio (CBR) cover-curve design method has been widely applied to the structural design of mine haul roads. More recently, established mechanistic design principles have superceded the CBR approach, using a multi-layer model to represent the various road structural layers. The structural design and associated layer thickness requirements are then determined following a maximum strain criterion. An updated CBR cover-curve design methodology, suitable for the ultra-class of haul trucks is now in operation and, through a case-study evaluation of the CBR and mechanistic design methodologies, highlights from a practical perspective how improved haul road structural designs can be achieved. Diesel engine manufacturers are rolling out Tier 4 compliant engines. In his presentation, “Trends in Emission Standards and Technology for Mining Equipment,” Daniel Brian, Quarry & Specialty Industries, Caterpillar, will explain the significant investment his company made to prepare for new emissions standards and the use of alternative fuels in mining equipment. He will discuss trends in emissions standards for mining equipment currently in place and those expected to be implemented in major mining regions around the world, including the potential impact of carbon taxes and emissions trading. In addition, an explanation of Tier 4 emissions standards and their impact on mining equipment design and operation will be addressed. Research and development efforts for the use of alternative fuels will also be discussed, including natural gas and biodiesel. In “OTR Tire Condition Monitoring—TTT,” Chris Brothen, international sales and development, Kal Tire, will talk about wireless tire temperature and pressure monitoring. These tools can provide a real time operational view so maintenance providers can act proactively to condition alerts before irreparable damage occurs to the tires. In many mines today, OTR tires are out of service before the useful expected life is achieved. System architectures may be similar among available TPMS, however, it must be determined if the system being considered is sustainable and scalable to allow for future expansion. As with any technology-based system, serviceability and support requirements must also be identified and considered. There are several options to consider when determining the appropriate flow of data from the TPMS. Apart from the obvious savings from increased tire life; fuel savings, increased availability of equipment and intangibles such as enhanced safety should be considered. Continuous advancements in technology offer opportunities for the achievement of excellence in the areas of mining safety and efficiency. The growth in the size of mining equipment makes the goals of safety and efficiency even more critical. Blaine Scarr, group manager, Hedweld, will present “Advancements in Technology to Improve Workshop Component Handling and Safety.” With the use of the latest technologies, Hedweld offers new and improved methods in accessing mine equipment and handling equipment components. In the ever-challenging mining world where less people are being asked to make more decisions, Komatsu says it has a notable history of providing meaningful equipment performance analysis tools that come to the aid of its customer base. In “Real-time Haulage Application Monitoring and Analysis,” Matthew Briggs, western regional sales manager-ining, Komatsu, and Meshal Ruplal, P.E., general manager consulting services, AngloAmerican, will discuss KOMTRAX Plus. The new software system provides equipment operating performance data while also monitoring the condition of various components of the machine. Recently, Komatsu and AngloAmerican joined forces to use the system to aid in the identification and analysis of real-time haulage conditions in an effort to identify ways of improving operating performance, road maintenance and construction, etc. This presentation will review the key objectives of the project, the array of real time operating conditions being monitored, and the planned analysis techniques being considered to define haulage optimization opportunities. Tuesday morning (May 17, 2011) begins with a session dedicated to safety. Jim Spigener, senior vice president, Behavior Science Technology will present, “Zero Industry Culture.” Developing and driving a culture that supports safety requires very deliberate actions and transformational leadership. Simply adding more safety systems or using more muscle, without acknowledging organizational and business realities, won’t move us to safety excellence. Getting to a “zero-injury” workplace requires rethinking how we use the systems we have, how we approach the safety performance mechanism itself and, most important, developing a culture in which safety functioning is treated as a part of doing business. This presentation will offer actionable steps toward “zero-injury” performance and advise mining professionals on how they can manage safety more effectively. In “Testing and Implementation of a Fatigue Monitor System for Haul Truck Operators,” Mark Bartlett, manager-mining technology, Freeport McMoRan Copper & Gold, will discuss some of the real-time monitoring and control of fatigue events being implemented at Freeport McMoRan open-pit mines using the Seeing Machines DSS technology. Evaluation and testing of the technology showed it works for most operators, most of the time though it is not a silver bullet to the fatigue problem. Additionally, the system is reactive, meaning it only measures events as they are happening, rather than predicting fatigue levels. Open-pit truck drivers working a typical 12-hour shift have a fatigue profile that follows a typical circadian cycle, with a peak in fatigue events between the hours of 4 a.m. to 6 a.m. Timely intervention by dispatchers and supervisors can significantly reduce the total number of micro-sleep events thereby reducing the probability of berm strikes, vehicle collisions and catastrophic incidents associated with haul trucks. Operator acceptance to the technology is directly related to the amount of information they are provided about how it works, and their perception as to how the information will be used by mine management. In “Traffic Awareness and Collision Avoidance: Can They Improve Driver Behavior?,” Cyrille Sauvain, director of sales, SAFE Mine, will discuss the results of recent research with collision warning systems in open-pit mines, based on typical trial setups before full-scale deployment. The first phase of the trial records traffic data without any information available to the operator to establish a baseline for the second phase with display and all system functions enabled. The analysis of phase 1 vs. phase 2 with operators, mine and safety managers shows improved driving behavior. It also highlights potential enhancements in safety. Dr. Reik Winkel, executive director, indurad, will present “Radar-Based Driver Assistance and Advanced CAS for Haul Trucks and Loading Equipment.” Many proximity detection sensors have experienced problems with false alarms and they only cover a fraction of the scenarios making them unsuitable for collision avoidance systems (CAS). 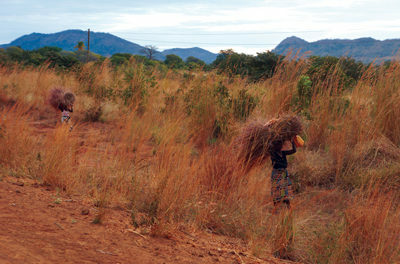 Mine dispatch systems only deliver database and GPS information, but no information in respect to the real environment. For this, multiple technologies have been missing up to now. Robust and compact 2-D scanners can provide range and angular information of the environment especially under difficult conditions (dust, fog, snow, etc.). Intelligent data processing framework is now flexible enough to adopt to the present machine states like speed, inclination, visibility, tire traction, GPS position, orientation, acceleration etc. The indurad system combines this technology with an easy-to-use interface. The system also generates several driver assistance tools such as lane assist, crusher dumping assistance and bank scan bucket positioning. Haulers operating daily on adverse running surface mining environments are continually subjected to high loading events measurable at the suspension. These events may be considered directly proportional to the loading action from both the suspended unbalanced body load above and the variable running surface below the tires. Dr. Tim Joseph, associate professor, University of Alberta, has studied the situation for years and will present “Benefits of Achieving a Load Balanced Hauler.” He will debate the chicken and egg scenario where adverse truck motions cause ground deterioration and poor ground profiles cause adverse truck motions, which creates a deteriorating spiral that dominates the industry. If mine engineers could remove one action, the reaction must stop and vice-versa. A simple ‘truck to excavator’ load data analysis and wireless communication system could provide visual assistance to the excavator operator in achieving improved load placement and balance in a truck body; that will reduce the subsequent hauler duty cycle adverse motions and levels that contribute to structural fatigue, higher tkph, reduced tire life and ongoing maintenance of haul roads. The Tuesday afternoon session opens with “Smarter Shovels Load More Efficiently.” John Burant, director of product management, Flanders Electric, will discuss his experience rebuilding shovels. Whether a mine is looking to optimize truck-shovel production or move as much rock as possible, electrical upgrades make sense for many older mining shovels. Faster cycle times and improved reliability are key components in boosting productivity. In the search for ways to improve shovel performance, however, many mines have discovered that digital drive upgrades offer a smooth, more efficient operating cycle that usually out-performs wholesale increases in horsepower. The Asarco Ray-Hayden Complex recently completed five shovel upgrades, which amounted to a complete, open control system that consists of Flanders Electric motors, Allen-Bradley (A-B) ControlLogix, and the Flanders Electric Power Performance Digital Drive (PPDD) upgrade. With an open system, or open architecture, mine operators can service and maintain machines where a closed, proprietary, system would limit the work to the OEM exclusively. In his presentation, “Dragline and Apron Feeder Mining Method,” Benton T. Kelly, mining engineer, Drummond-Colombia, will offer a different take on moving overburden. Drummond developed a new mining method that uses draglines digging the upper 30 m of the alluvium dumping it onto apron feeders for loading into 240-ton end-dump trucks for haulage to the overburden dumps. Kelly’s presentation describes this unique mining method in detail along with design parameters for pit layouts. Eric Berkhimer, senior applications engineer, P&H Mining Equipment Co., and Travis Wierenga, mine operations engineer, Teck Coal, will present “Case Study of P&H 4100XPC AC vs. DC Shovel.” This presentation will provide information about the performance and cost advantages of operation of an AC-powered electric rope shovel over a DC-powered shovel. Included will be information on long term experiences and expectations of the advantages of AC over DC in terms of long-term productivity, availability and operating costs. Documenting the development of large mining hydraulic excavators from the very early days at the turn of the century to today’s machines, John Sammut, area manager, Komatsu, will examine the main drivers behind the developments, both technological and health and safety, and make comparisons between hydraulic excavators and electric shovels. In his presentation, “Mining Hydraulic Excavators—Where from, Where to?” Sammut will explain the growth in numbers of hydraulic machines. He will also explore likely future developments, such as autonomous operations, remote control, etc. Wednesday morning’s session (May 18, 2011) will begin with “Strategic Approach to Simulator Training,” a presentation by Brandon Holm, continuous improvement coordinator, Kinross Gold-Fort Knox mine. Immersive Technologies and Kinross Gold-Fort Knox, formed a cross functional team to take a strategic approach to haul truck simulator training. Previous training consisted of a tactical approach, focused on training newly hired employees and follow up training of current operators. Using a strategic approach allowed the mine to improve on operational efficiencies and direct cost savings by targeting specific training needs and operators that would benefit the most. Confirmation of the simulator training was quantified using in-pit data. Continuing the training theme, only with a different approach, Chuck Frey, marketing manager, Vista, will present “Suncor Tests TruckLogic Training System.” Frey will explain how advances in technology and adult learning have combined to enable new models of haul truck operator training. Web-based training programs can be delivered on demand, minimizing the impact of training on production. 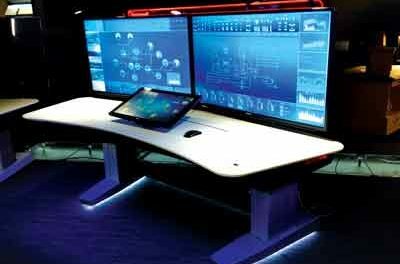 PC-based simulators are now affordable enough for mines to deploy multiple workstations, so more operators can be trained at one time. On-the-job training tools bring more structure and consistency to field training and help trainees to retain more of what they have learned. His presentation describes how a blended approach to training helped one Suncor solve several major training challenges. With the introduction of new engines to the market to meet EPA emissions requirements, truck designers have responded by integrating these engines into their product lines. In his presentation, “Tier I to Tier II Impact on Truck Design & Performance,” Kevin Gildea, P.E., product manager, Liebherr Mining Equipment, will discuss the impact of a new engine on a truck’s design and performance. Different engine technologies have inherent advantages and disadvantages that will be reviewed in terms of their effect on the truck as a whole. Depending on the truck, some of these effects include potential operational benefits, changes to fuel consumption, backward compatibility, and overall fleet reliability. The conference will close with a discussion on trolley assists for haul trucks. Rising fuel prices, greater environmental awareness and the fuel consumption has led to renewed interest in trolley assists. Several mines have implemented this technology and significant improvement in productivity and fuel efficiency has been realized. In addition, a trolley guidance system has been developed which assists the truck operator to keep the truck in the right position under the overhead line. Field tests have been completed successfully with satisfactory results. In “Trolley Assist for Improved Haul Truck Safety and Sustainability,” Walter Koellner, director of marketing/development mobile mining systems, Siemens, Joy Mazumdar, development engineering manager, Siemens, and Joe Shoemaker, manager technical analysis-global accounts, Komatsu, will offer their insight into trolley assist. For delegates attending the session, Mining Media will provide documentation for professional development hours. Following the conference, E&MJ will publish some of the presentations in varying formats. However, the best educational experience would be to see the presentations first hand. Please plan on joining the Mining Media team for Haulage & Loading 2011.